When the Most Appropriate Time Consuming Vitamin? When is the Most Appropriate Time Consuming Vitamin? It is better known. There are so many healthy campaign in media about importance of vitamin consumption. But just how important vitamin required by the body seems not many people are considering it. People tend to think of taking vitamins, especially vitamin C is necessary for the body daily. So just need to follow the manufacturer's instructions listed on the packaging, the vitamins are considered safe. Is this correct? Quoting from meetdoctor.com actually There are rules to consume vitamins. You need to know first what exactly the function of the vitamins. 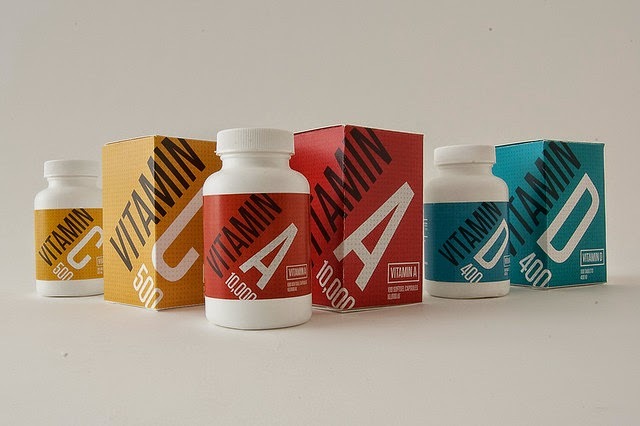 Basically consumption of vitamins is needed to prevent the body from vitamin deficiency. Normally the body lacks vitamin because food consumption is not enough nutrients the body needs. Vitamins are necessary to provide a balance between the energy discharge of food intake in people who are sick or when the person is doing more physical activity than usual. That is why, vitamins actually do not need to be consumed every day. Its enough consumed when the body needs it. When many activities are carried out, being sick or when the nutrient intake of daily food consumption is less. If you want to find a good source of vitamins naturally from food consumed each day. Vitamins can be met from the adequacy of the daily food. Provided that when eating food for three meals a day consist of staple foods or carbohydrates, Fish protein or vegetables, two servings of fruit and two cups of milk. For milk consumption better can be done in the morning and afternoon or morning and evening. If you must take vitamin supplements, When the Most Appropriate Time Consuming Vitamin? Keep in mind, The best time to consume vitamin should be done after a meal. Also do not take vitamins after drinking milk. Except for vitamin C and D because both when consumed with milk containing calcium will increase the absorption of calcium by the body. Moreover, do not take vitamins after drinking beverages that contain caffeine. Because it will inhibit the absorption of vitamins, especially if consuming vitamin D. Similarly, if consuming vitamins that contain iron. Caffein would interfere with iron absorption so it is potentially to cause anemia. Keep in mind also, The vitamin needs of each person is different. This can be caused by medical conditions, activities undertaken, food intake, and so on. If you really want to know what vitamins your body needs, you should perform an accurate examination. Starting from the examination of blood, hair, urine, and so on depending on what you want to know what vitamins. Now, through this information that you would be wise if you wana eat certain vitamin supplements. At least know the signs you are in need of certain supplements. So that the consumption of vitamin supplements are really useful. So When the Most Appropriate Time Consuming Vitamin? After the meal and when the body really needs it.